In visiting the capitals of 18 European countries, Master brought inspiration to thousands of people with Her message of hope and love and Her shining example of the difference that one life can make. For many years, this great spirit packed into a petite and fragile physical frame has touched hundreds of thousands of lives through Her offerings of physical and spiritual care to the world. As a designer of clothing and jewelry, She has used Her artistic talents to raise funds that have helped victims of disasters around the world. Yet Her aid to humanity surpasses physical needs. 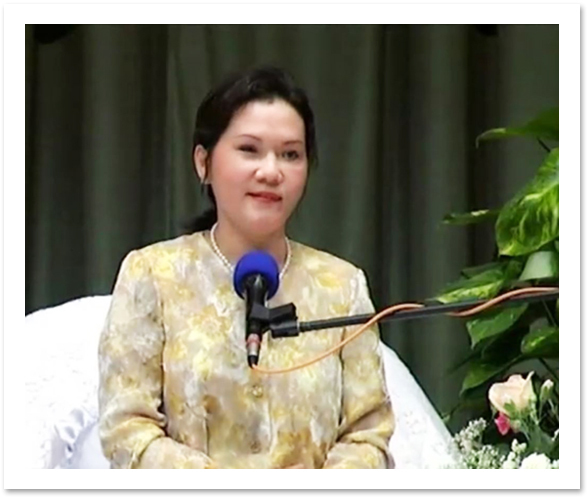 The Supreme Master Ching Hai teaches the Quan Yin Method of meditation and guides people back to their own inner God qualities. 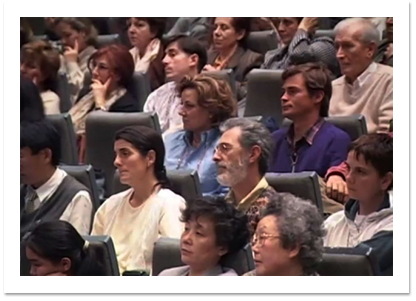 On May 5, Master opened Her European lecture tour in Madrid, Spain. The venue for the lecture, the centrally located Palacio de Congresos, attracted many people in a lecture organized just days before Her arrival. Her message was one of touching simplicity and found a great response among audience members that night. Master pointed out that, "In the universe, and generally speaking, on this planet, God has created many things for Hiers children to enjoy, material things and also very abstract things. Material things bring us comfort, wealth and much satisfaction. And on the other hand, abstract spiritual knowledge brings us bliss, happiness and life everlasting. One who is successful in material acquisition enjoys much in material comfort, but sometimes it has a side effect that he forgets the spiritual blessings that God has saved for all of us. And the ones who are successful only in the spiritual aspect, sometimes don't care about material gain. So sometimes it also has a side effect for people who see them. It makes them form an opinion about them that following God, pursuing spiritual practice is going to lead to poverty. "And some people who are successful in both the material and spiritual aspects present themselves sometimes in both aspects, and also this has side effects. People will wonder what kind of God-follower is that, who looks so luxurious and doesn't look like a monk, so there are always some side effects to everything. It is because the minds of our people are used to one extreme or another, and really we can neutralize the material and spiritual aspects and make of them a perfect life for ourselves. We are the children of God. We can choose to do whatever we want. But we must know how. "After being successful in spiritual practice, we also by the way often gain material success as well. That's why in the Bible, it is stated, "Seek you first the Kingdom of God, and all other things shall be added unto you." To be successful in the spiritual world, we have to know the way to contact the source of all spiritual power. In order to do that we just have to be quiet during some moments of our lives, and we shall know how to focus, and then we can communicate with God." After the lecture drew to an end, a large number of people in the audience received initiation into the Quan Yin Method, or training in the Convenient Method of meditation. Master personally conducted the initiation, which brought immediate enlightenment to these souls who had been longing for liberation in this lifetime. 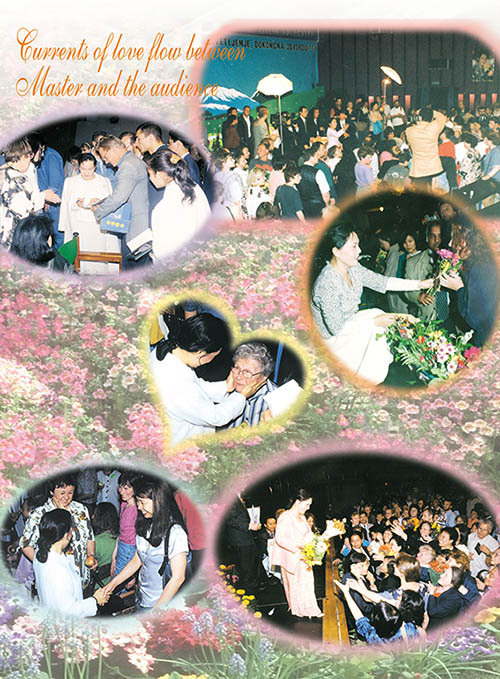 After being cleared of the karmic hindrances that had been gathered through their countless previous lives, these completely renewed souls now started on their journey to the Kingdom of God, the origin of all lives.